The German detective series, “Tatort”, is 45 years old. In 2016 the thousandth episode will be televised, but the format is still not showing any signs of fatigue – quite the contrary, in fact. It is 8.15 on a Sunday evening, anywhere in Germany. The theme music to Tatort lures people to their televisions. The short intro is haunted by a shot of crosshairs on the screen, the sound of footsteps running away and urgent music. If you do not stop what you are doing immediately and get to a television, you will probably miss the murder for they often happen at the beginning of the show. The viewers know this. They have grown up with the most German of all German detective shows. All over the country there are huge numbers of people who are experts on Tatort, even genuine fans. The Germans’ favourite detective series has been on the air since 1970, longer than any other detective series in the German-speaking world. On average almost ten million people watch how inspectors – both male and female – track down criminals. People like to get together to watch it, sometimes in cafés and bars. In contrast to the general prevailing trend Tatort is preferably consumed when it is broadcast on TV and not later from the media library. The fans do this so that they can post a tweet about it or talk to other people about it the next day. Tatort is a ritual that rounds off the weekend. Nevertheless the Sunday evening detective show is more than entertainment. It reflects German sensitivities, documents contemporary history, broaches social issues, for example, violence in schools, refugees, cyber bullying or the never-to-be-finished building site of Berlin’s new airport, Berlin-Brandenburg. One might be tempted to think that the format would age at the same rate as its audience, no way! 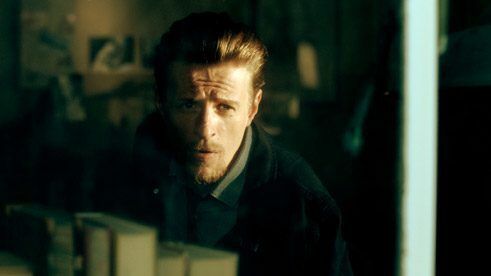 “The viewers watching the Tatort show set in Münster or the one with German movie star, Til Schweiger, are even younger than those watching American feature films,” reports Gebhard Henke, Head of TV, Cinema and Series Programming at Westdeutscher Rundfunk (West German Broadcasting). After the general slump in the middle of the 1980s due to the advent of private TV stations in Germany and the stagnation that prevailed for ten years from the middle of the 1990s onwards, viewing figures have been increasing steadily since 2007. Back then there were seven to eight million people watching the show, now in 2015 there are13 million hooked on it. So the number of people watching the show has clearly increased and they are younger, but is not just the viewers who have got younger, but also the inspectors on the screen. The show, which is produced by the German, Austrian and Swiss public broadcasters (ARD, ORF and SRF), has always been based on the concept of showing all kinds of criminologists at work in all kinds of different regions. Germany’s public broadcaster, ARD, has at least one team of detectives working on cases in the area of each of its regional broadcasting stations – in 2015 there are around 20 of them. Since 2010 alone ten new teams have been added. There has never been any deliberate strategy to increase viewing figures and to attract younger audiences, says Gebhard Henke. Fully in line with the federative principles of the ARD, the regional stations of the ARD always produce a Tatort show that they themselves consider to be good, they also get rid of detective teams and invent new ones. This is what makes the format so diverse, but at the same time so unpredictable. A potpourri that is held together by its Sunday evening slot, its intro and the fact that the cases are always solved. The current Tatort community seems to find this state of flux good. At least that is what Henke has observed – in the old days the viewers might well have loved “alpha males” and “top dogs” like Schimanski (Götz George), Stoever (Manfred Krug) or Charlotte Lindholm (Maria Furtwängler), “nowadays, however, the viewers celebrate the new teams like the football stars of the German Premier League.” Another reason why there has to be a lot of teams is the fact that the big stars like Til Schweiger (Hamburg), Ulrich Tukur (Wiesbaden) or Meret Becker (Berlin) do not want to be typecast in the detective role. The more teams there are, the more regions are included and this is particularly welcome as regionalisation is part of the basic concept, even if hardly any of the newcomers speak a dialect and it is left to the supporting actors to speak the vernacular of the particular region. The new inspectors are not just younger on paper, they act younger. They are hip, urban, familiar with social media, they occasionally ride a scooter and speak foreign languages fluently. Breaking social rules is also quite definitely the norm for them. Not that their predecessors had been unerring public servants – they, too, were not immune to human weakness and often had difficulties getting a grip on their private lives. The young ones, however, no longer vie so intently for the viewers’ empathy, they even polarise. Inspector Nora Dalay (Aylin Tezel), for example, aborts the baby she was expecting from her colleague. Right at the very start of the series Nina Rubin (Meret Becker) in Berlin is walked out on by her live-in lover after she had spent a night of excess somewhere else. The format itself is also becoming more and more experimental and diverse. “Im Schmerz geboren” (Born in Pain), that was televised by the Hessische Rundfunk in October 2014, was praised by the critics and showered with awards. This bloody vendetta pursued by a former inspector is experimental murder-mystery art at its best – Shakespearian in design and staged like a Quentin Tarantino western. 47 people are said to be killed by the end of the show. Actor, Ulrich Tukur, who plays Wiesbaden detective, Murot, contests the showdown with a rapid-fire gun. Lots of things change: the locations, the inspectors, the narrative tradition, but never the Tatort intro that has been the same ever since it was first broadcast. When the show is sold to be shown in other countries, the intro is often cut and not televised because they think it is old-fashioned. In Germany, however, it is absolutely taboo to criticise it. German movie star, Til Schweiger, must have really felt the brunt of this when he said the opening credits were “stupid” and “outdated” and suggested getting rid of them. So even the new, wild, young inspectors had better be careful and not overshoot the mark so much. Anja Martin lives and works as a free-lance journalist in Berlin, she writes articles on various topics, among others for the Süddeutsche Zeitung and Frankfurter Allgemeine Sonntagszeitung and is an avowed Tatort fan.